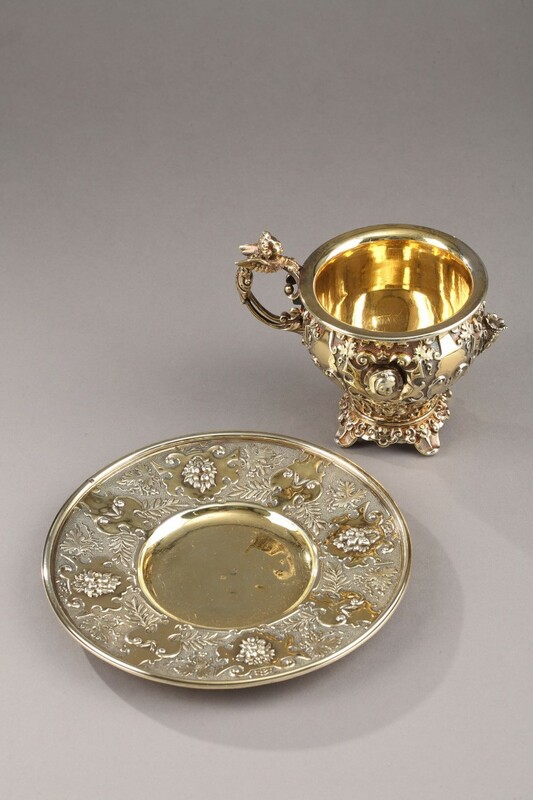 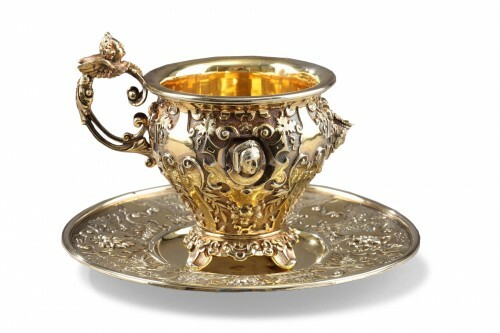 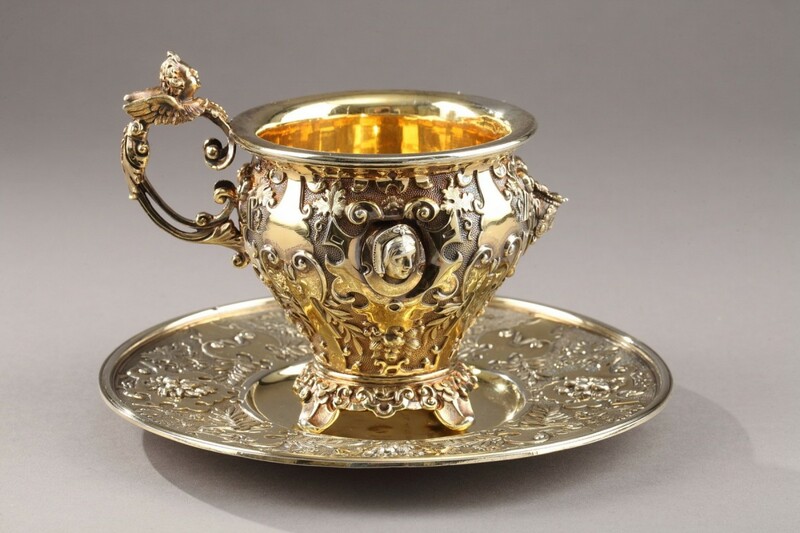 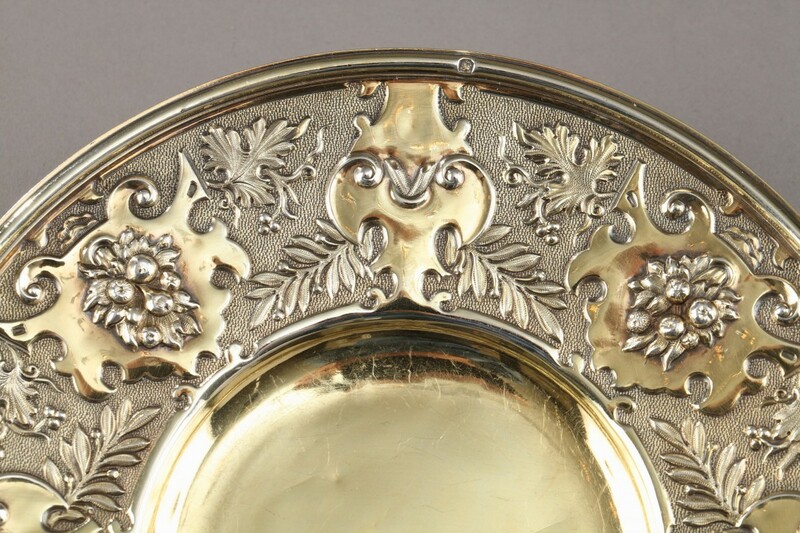 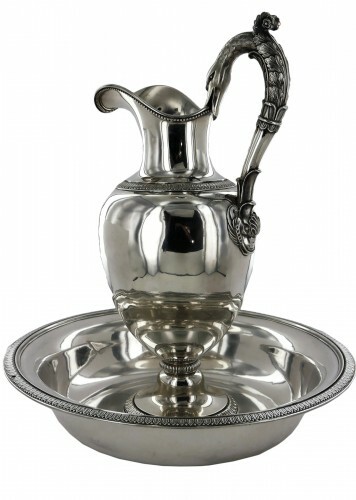 Cup and saucer in silver and vermeil interior. 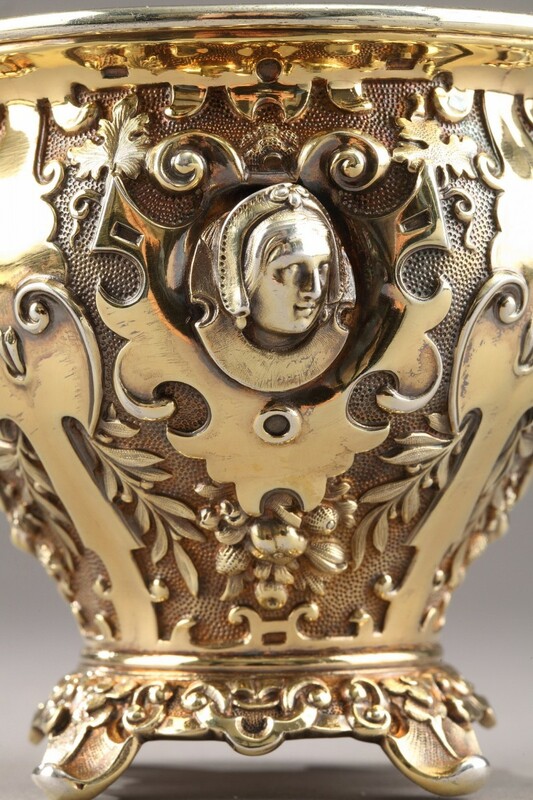 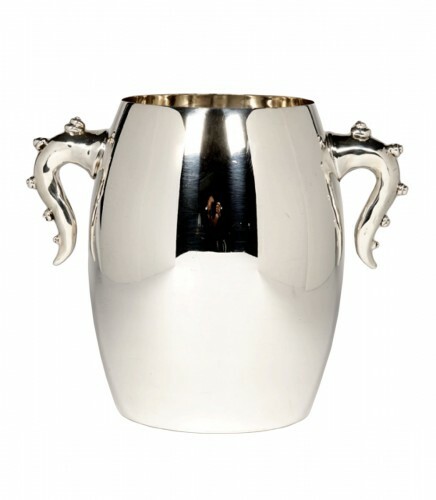 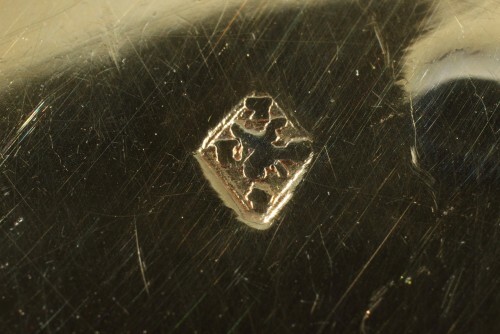 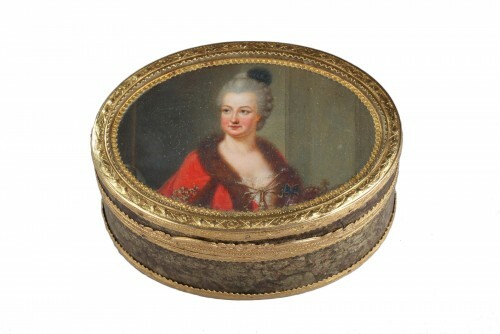 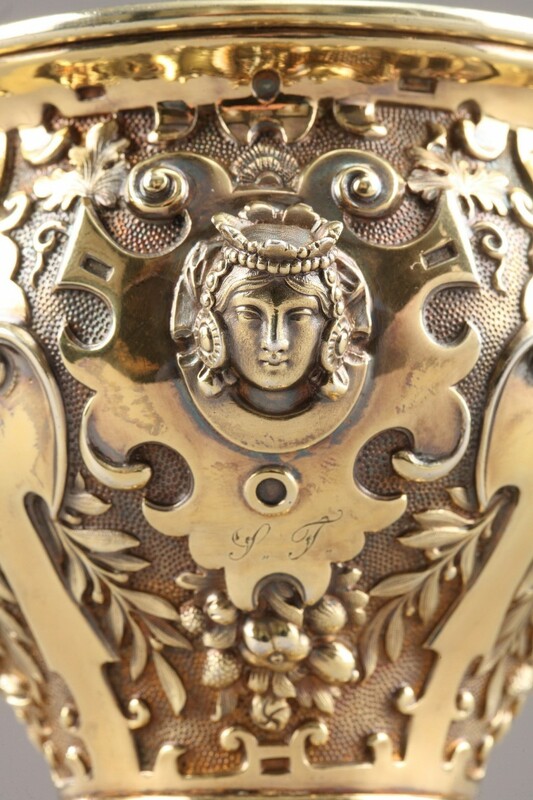 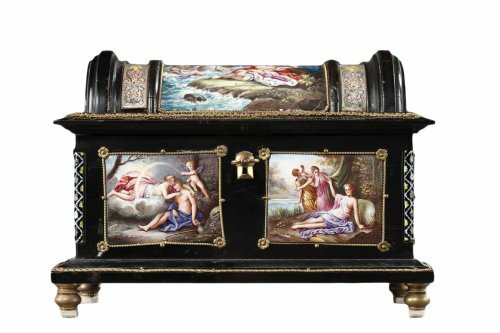 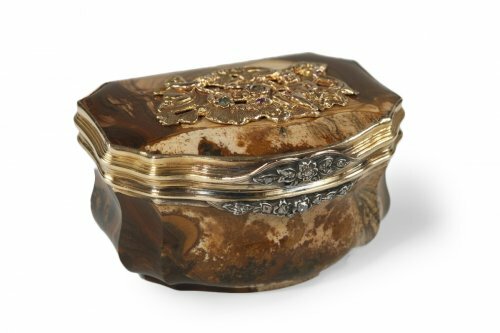 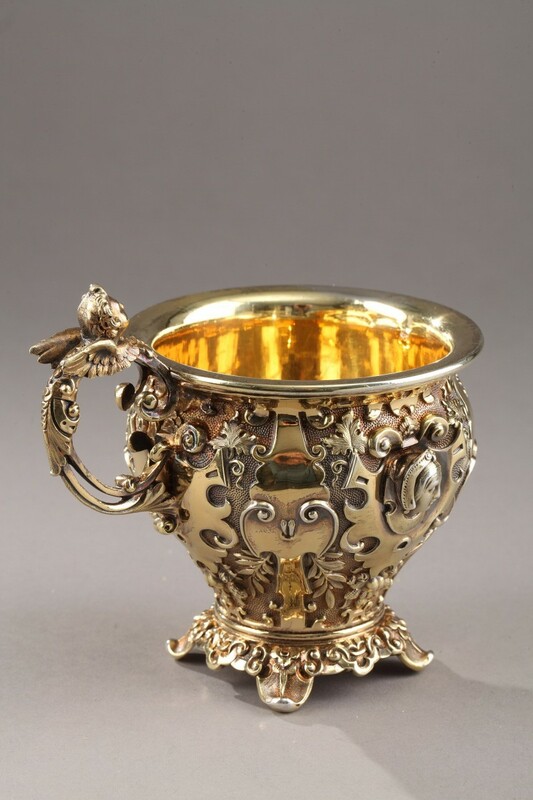 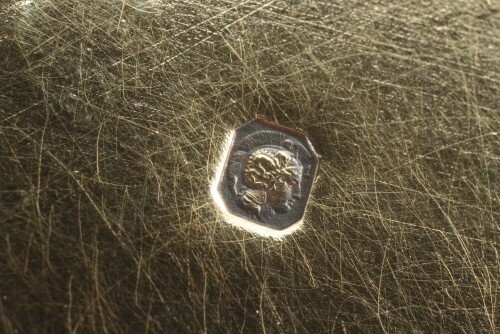 The cup rests on four feet and is embellished with an embossed decoration depicting medieval women's faces emerging from rolled leather cartridges. 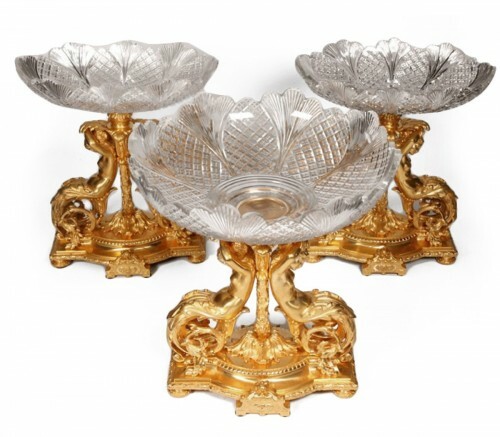 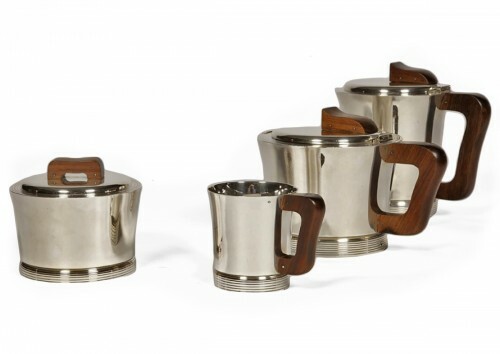 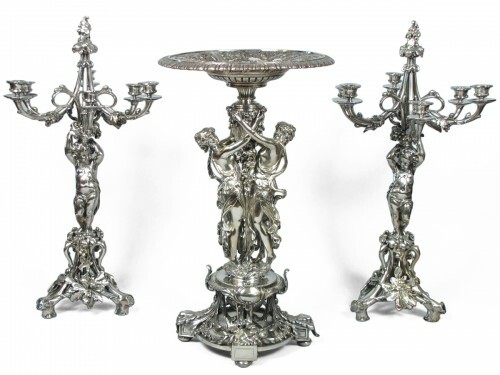 The set is finely chiselled with windings, stylized foliage standing on a matte background. 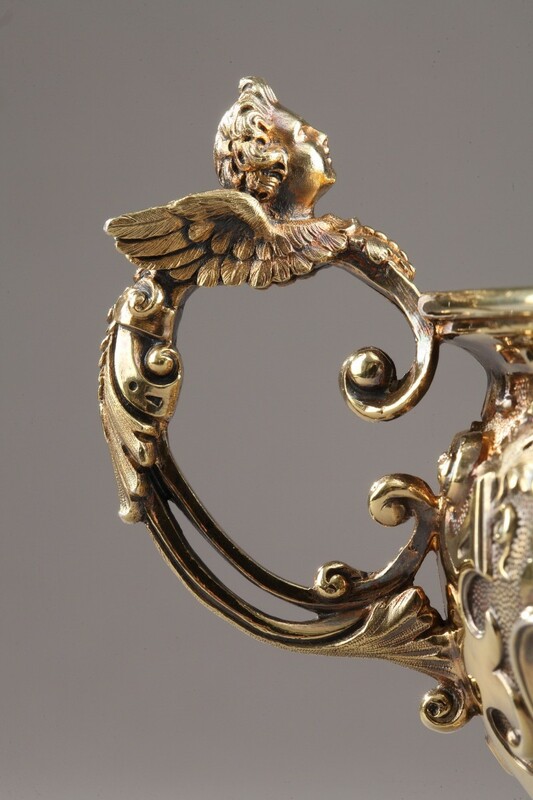 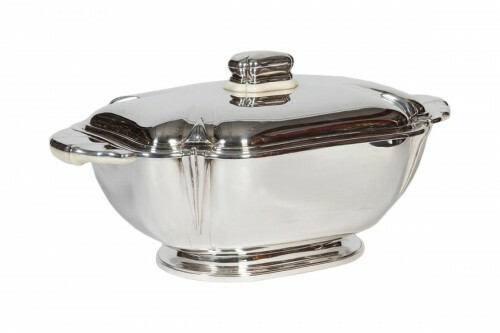 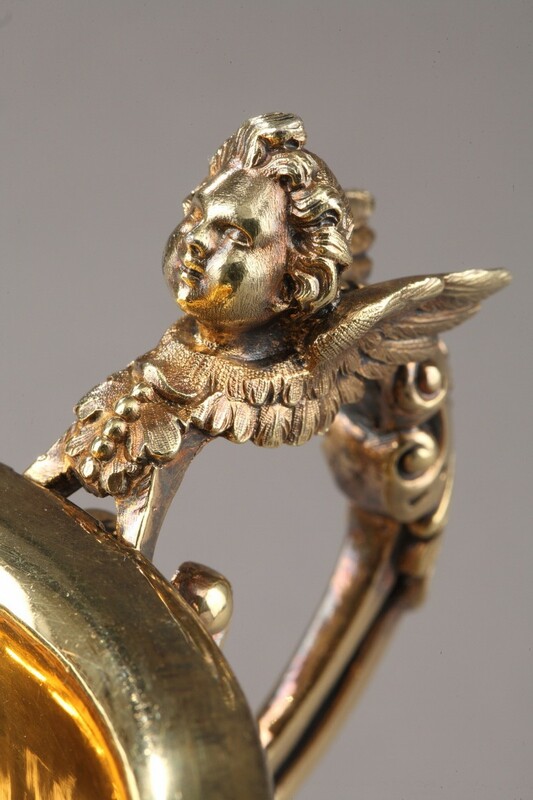 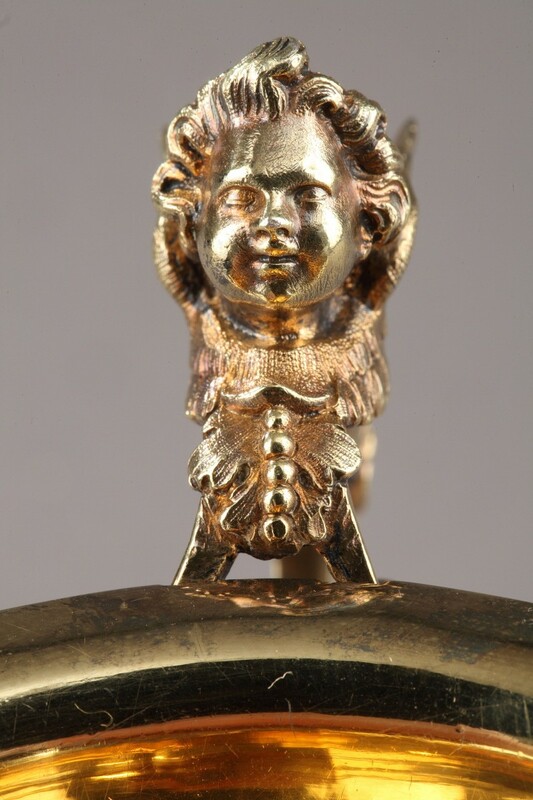 The handle has a winged putto head. 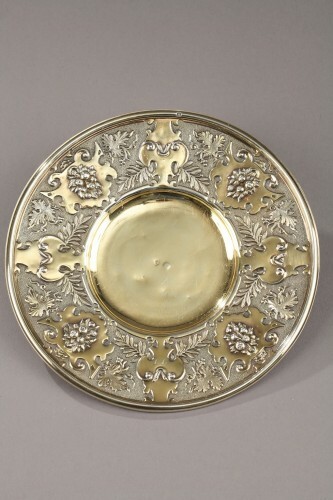 The saucer is decorated with rolled leather cartridges, fruits and flowers and palm on a matte silver background. 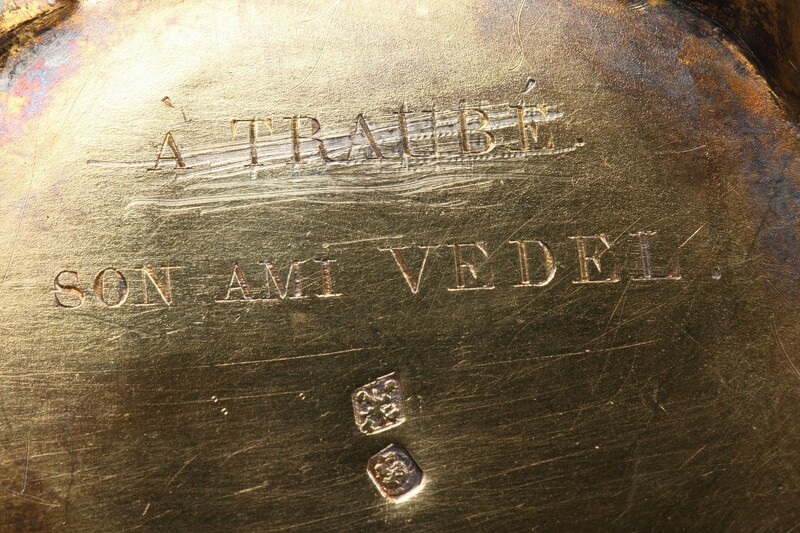 A dedication is inscribed under the cup "A traubé his friend Vedel" Georges Vedel (1910-2002) was a member of the French Academy.